Royal Enfield Classic Battle Green reminds the era of war when this vehicle was used to supply food and other amenities to soldiers in the battle field. Keeping in mind its usage years ago, the bike still maintains its battle field color and design, as a result of which it is known as the aura of past. The vehicle is not only known for its looks but also for its heavy duty performance. It is because of its overall eternal features classic battle green still remains in the list of popular bikes thus owning this exquisite beauty is truly state of proud for any man. 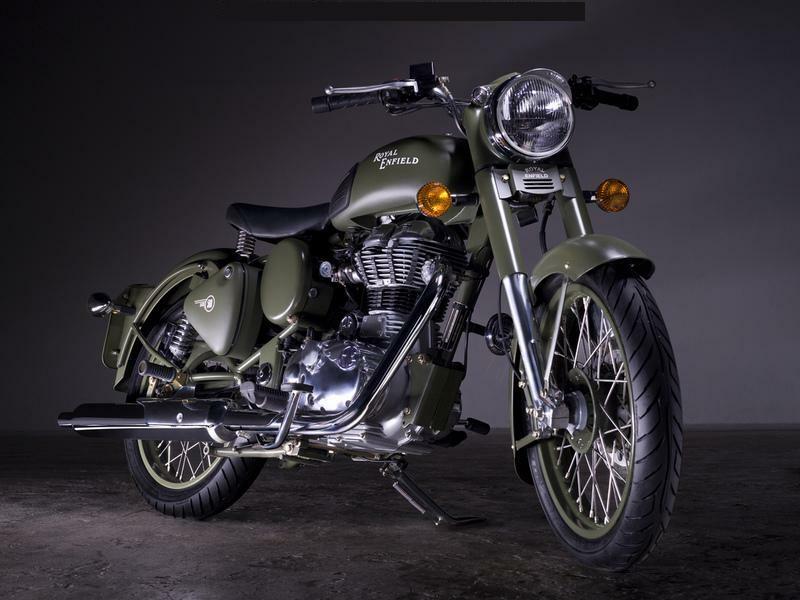 The Royal Enfield Classic Battle Green is powered by 499 cc, single cylinder, 4 stroke engine. The maximum power generated by this engine is 27.2 bhp at 5250 rpm and the torque provided is 41.3 Nm at 4000 rpm. The bike attends the maximum speed of 130kmph with the help of its 5 speed gears. The well positioned saddle seat with springs is one of the noted points of the bike as it guarantees comfort for a long and relaxed drive. Further the brighter halogen headlamps of the motorcycle help for clear visibility of road. Adding to this, the classic design broad mudguards and bigger wheel sizes are other major feature for splash free ride. With all the previously mentioned prominent features riding Royal Enfield Classic Battle Green is truly a different and delightful experience. 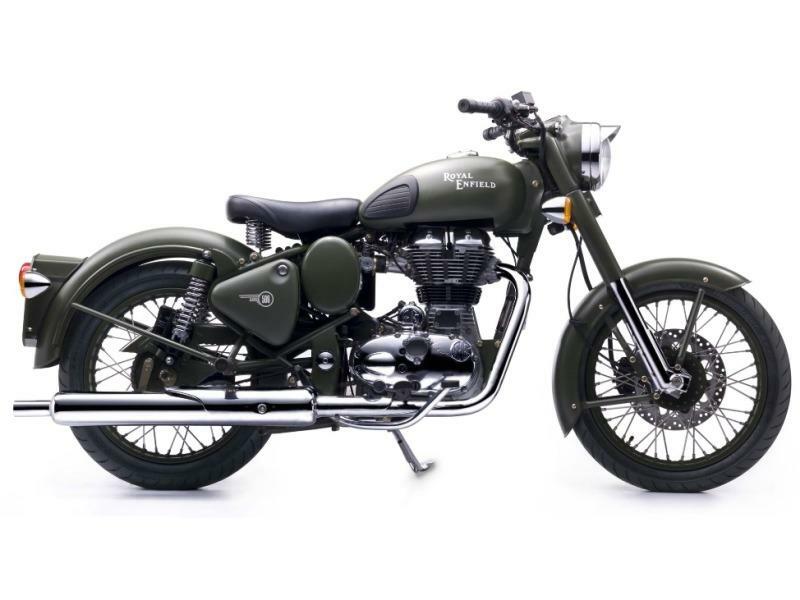 The mileage provided by Royal Enfield Classic Battle Green is around 25 Kmpl. 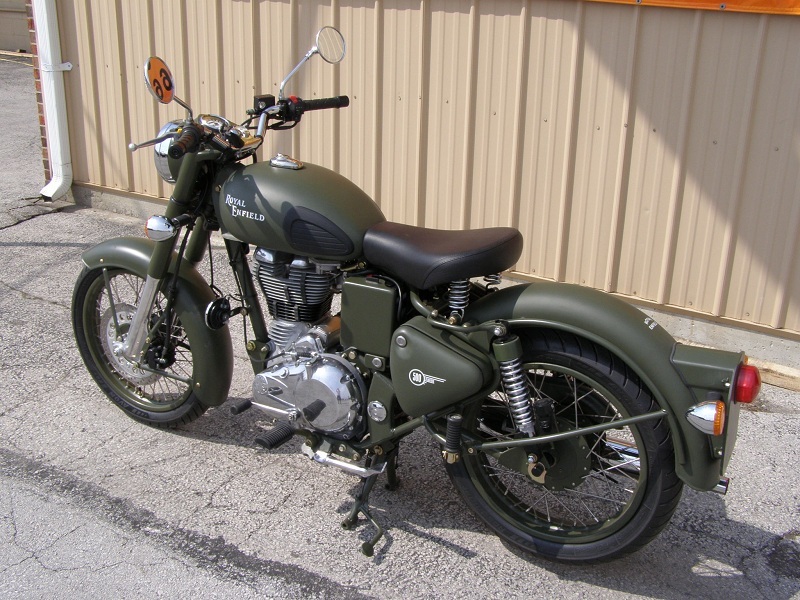 As the name suggests the Royal Enfield Battle Green is available in only one color and that is green. The Ex-showroom price of the vehicle in Delhi is Rs 1,60,000.